Snakes and Ladders Retro Board Game. Small and portable game where you piece together the board like a jigsaw. This wonderful version is based on a game from the 1920's. Suitable for 2 or more Players. 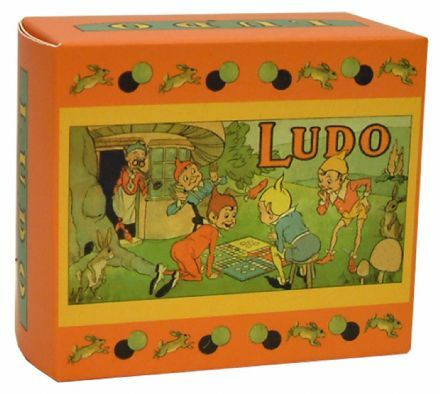 Ludo Retro Board Game. Small and portable game where you piece together the board like a jigsaw. This wonderful version is based on a game from the 1920's. Suitable for 2 to 4 Players. 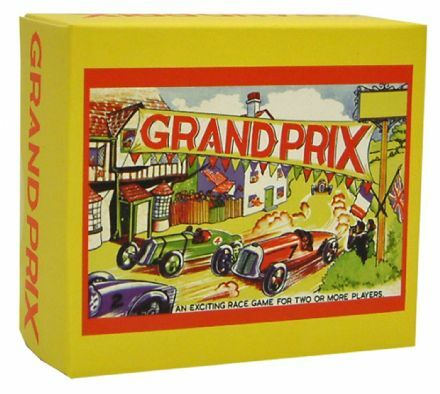 Grand Prix Retro Board Game. Small and portable game where you piece together the board like a jigsaw. This wonderful version is based on a game from the 1920's. Suitable for 2 to 4 Players. Draughts or Chequers Retro Board Game. Small and portable game where you piece together the board like a jigsaw. This wonderful version is based on a game from the 1800's. Suitable for 2 Players. 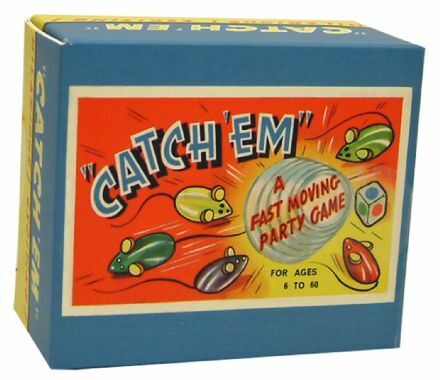 Catch Em Retro Board Game. Small and portable game where you piece together the board like a jigsaw. Going back to at leat the 1950's and probably much longer. All you have to do is catch the mice before they run away but as every cat will tell you that is not always as easy as it sounds. Fun and laughter for all the family. Suitable for up to 6 Players. 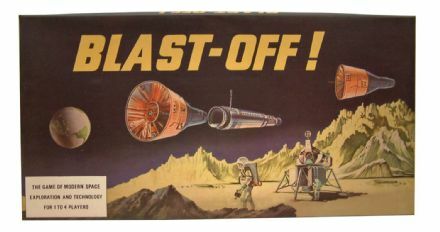 Blast Off Space Race Retro Board Game. With space age graphics from the 1960's, this reproduction retro board is for everyone that is fascinated by the Space Race. First capsule to Pluto Wins ! Decide which is the best route, a colourful board game which will bring back memories of space travel from the 20th century. For 1- 4 Players. Bug Retro Game. 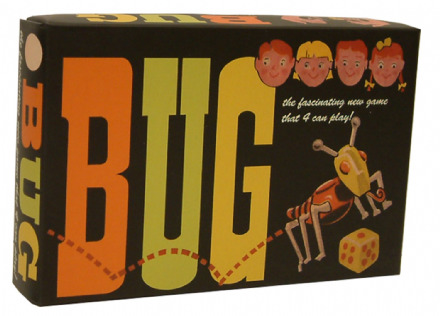 Take it in turns to throw the dice and build your Bug. This version is based on a game released in the 1970's. An original gift that will bring back memories from childhood. Suitable for up to 4 Players. Captain Scarlet - The Fight with the Mysterons. With gorgeous graphics from the 1960's, this reproduction retro Captain Scralet Board Game sees the famous man himself fight "the mysterons" along with colleagues, Captain Blue, Captain Ochre and Lt. Green. Players plan their route across Europe to defeat the enemy and come through as visors ! From 1 to 4 Players. 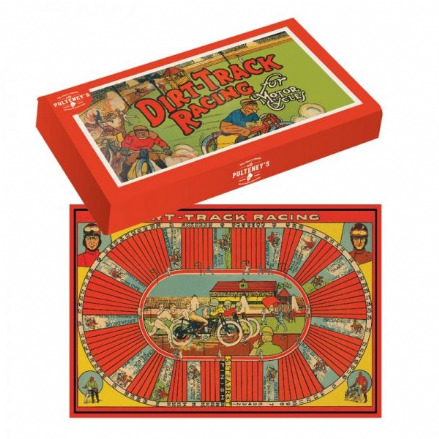 Traditional Dice and Board Game, Dirt Track Racing , Draw for positions, and avoid collisions. Great gift idea. 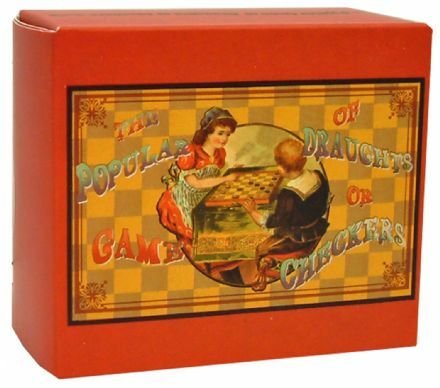 Vintage Children's game of Dominoes packed in a lovely wooden box. . Suitable for up to 2-4 Players. 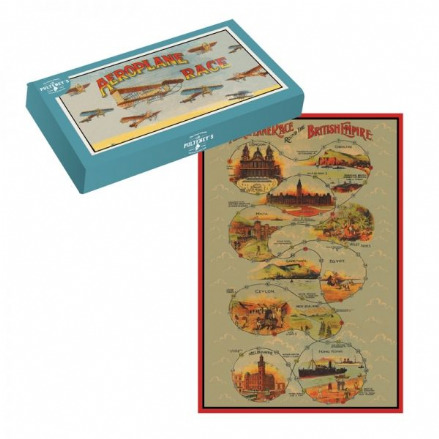 Traditional Dice and Board Game, An Aeroplane Race around the British Empire, winner is the plane that arrives home first. Great gift idea. 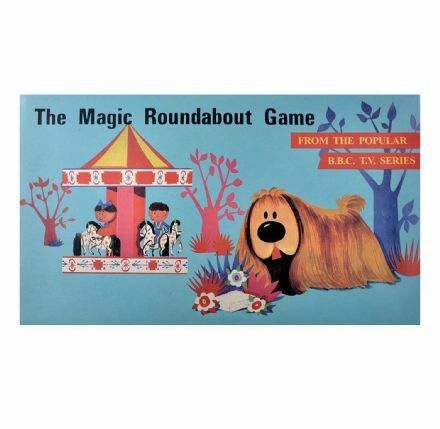 The Magic Roundabout was originally a French-British animated children TV programme created in 1963, which ran through the 60's and into the 70's attaining cult status. 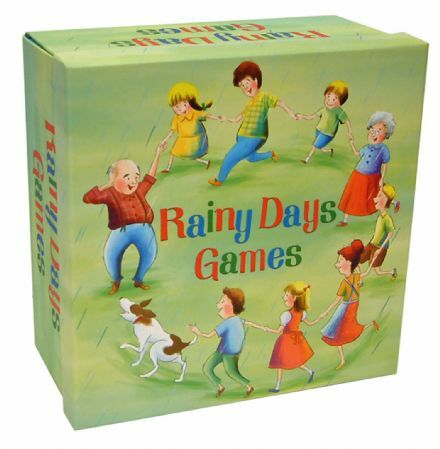 This game reproduced to evoke memories from the 70's is ideal for children and adults to play. Dougal needs to find his sugar lump so that he can pull himself together - and you can help him. Traditional Dice and Board Game, Motoring, negotiate your way around the course avoiding mechanical faults and driving into ditches, first car to the picnic spot is the winner. Great gift idea. Our Rainy Days Retro Games Compendium is very special and unique. 6 Games in One Box ! Remove the lid and the box will open to form playing boards with the pieces nestled inside the base ! Chess | Draughts | Chinese Chequers | Ludo | Snakes and Ladders | and a special game called Puddle Game. Suitable for various numbers of players. 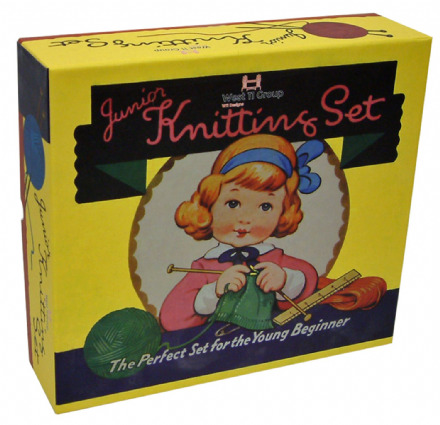 Retro Junior Knitting Set. The perfect set for the young beginner. A wonderful simple set to get anyone started on the creative road to knitting. Includes Needles, 4 Balls of Wool instruction to make a kettle holder. 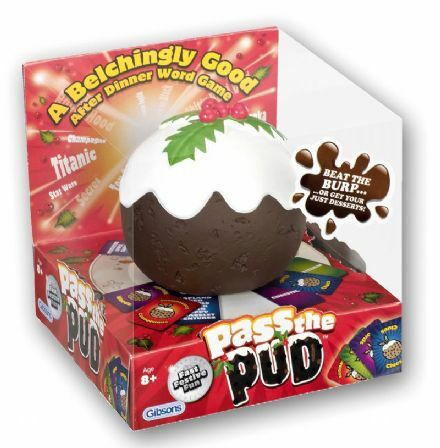 Good fun and very educational, this set is sure to please parents, grandparents and children. 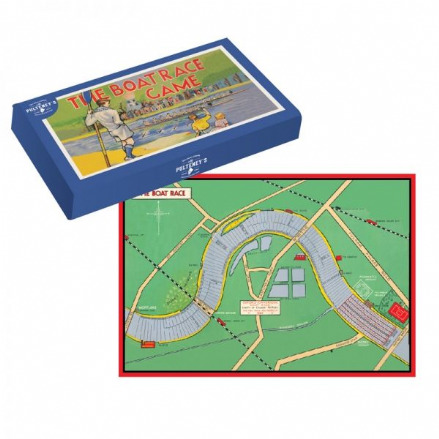 Traditional Dice and Board Game, The Boat Race, a tactical game depicting the famous Oxford versus Cambridge boat race. Who will get the advantage of The Surrey Station ?? Great gift idea. 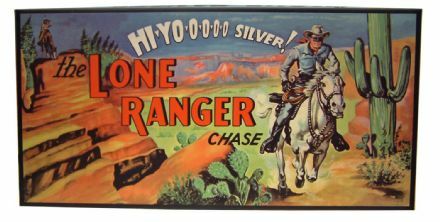 The Lone Ranger Chase Retro Board Game. With gorgeous graphics from the 1950's, this reproduction retro board features Texan Ranger - The Lone Ranger and his companions Tonto and Silver travelling across the state hunting down outlaws and bandits and bringing them to justice. Game for any number of players. 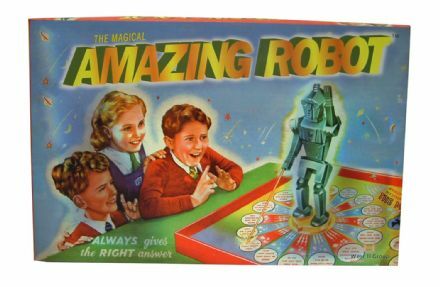 The Magical Amazing Robot Game. Based on the original product that first went into production in the early 1950's. One of the most fascinating products of it's age. How on earth does the Robot keep getting the answers right every time ?? For an number of players. 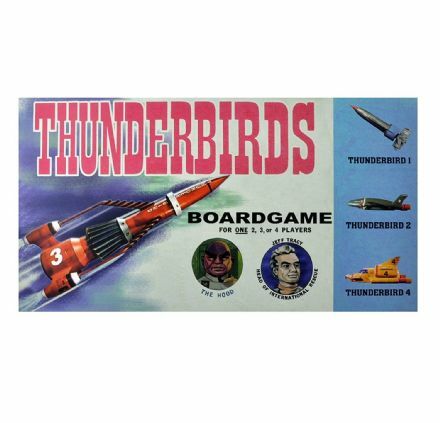 Loose yourself in the wonderful world of Thunderbirds with this reproduced retro board game for one,two, three or four players. The battle is against evil enemy "The Hood" - the aim is for the Thunderbirds to catch him and save the world. Fantastic graphics from the 1960's. 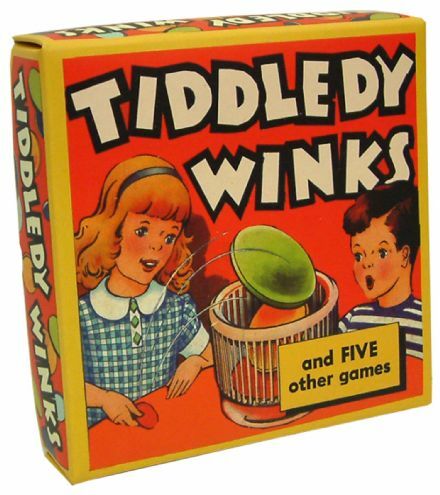 Tiddledy Winks Retro Game. Revival of this vintage family game. Version based on a design from the 1960's Each person takes it in turn to try and get their winks into the pot. There are also 5 other games that can be played with this set. For any number of players. Fun and laughter for all the family. Based on an original version of the game from 1904. Gain your Corner by shouting the loudest to collect your set of cards. Suitable for up to 3-7 Players. 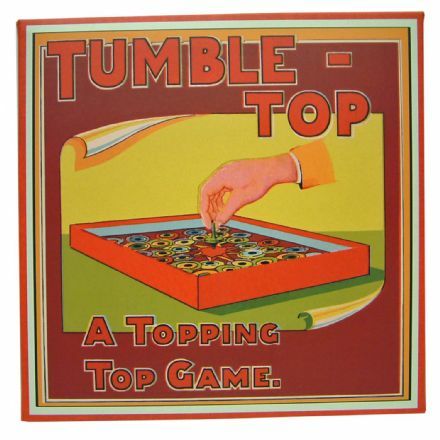 Tumble Top - Spinning Top Retro Board Game. Revival of this vintage family game. Each person takes it in turn to spin the top and score as many points as possible. For an number of players. Z-Cars was a British police based TV Drama from the 1960's - late 1970's. Based in a fictional town in the North of England the name Z-Cards related to an imaginary division of the police called "Z". This reproduced retro game will evoke memories from the era - take your Z Car and race your colleagues to the police head quarters, taking care to follow the instructions on the board - fun for all the family - both those that remember Z-Cars and those who don't. 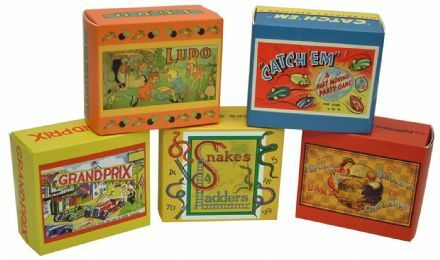 Retro Board Games from the 20th Century. Replay some of those old classics. ​​​​​Does anyone remember what it was like before Mobile Phones and Computers ? Many young people (and i admit myself included) can't seem to go anywhere without one, and most of their free time is spent looking down at their device. Our Retro Board Games will take you back in time when family entertainment was a shared experience. It might well have been competitive but most of us youngsters were allowed to win (sometimes !). Remember the family gathered all together at the Weekend or Christmas bidding to become the victor, and earning the bragging rights until you played next time. Recreate those good old days again with some of these reproduced board games (from the original designs). 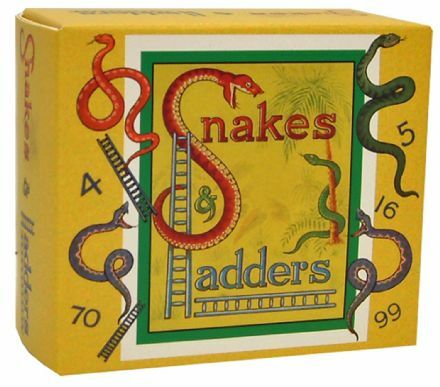 You'll find some perennial favourites such as Snakes and Ladders, Ludo and Dominoes. Plus you'll also see some great themed games from classic programmes such as Z-Cars, Captain Scarlett and The Magic Roundabout. 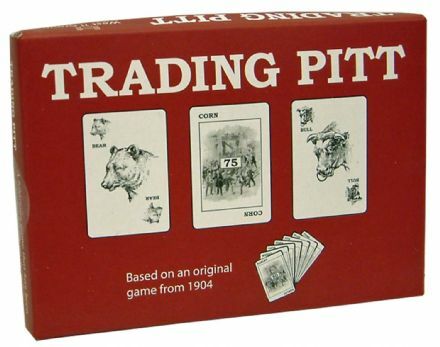 We even go way back with the family card game Trading Pitt. To add to the range we also supply the Mr Pulteney's Emporium range. 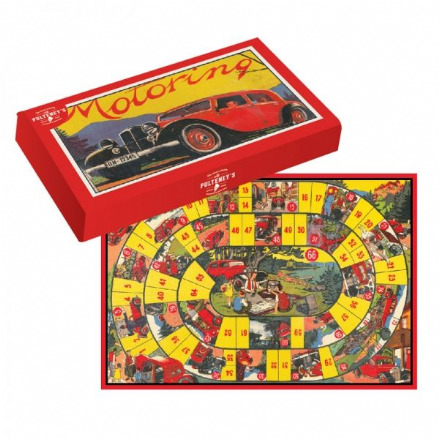 Retro-esque games such as The Boat Race, Dirt Track Racing, Aeroplane Race and Motoring. 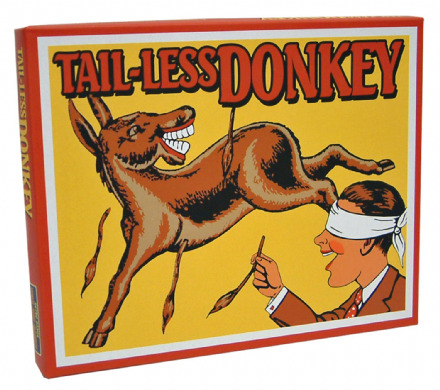 Enjoy this great section of Retro Board games and plan a family get together to try one out !